Blue Spruce a new for fall '15. These colors are reminiscent of the rich green evergreen trees. 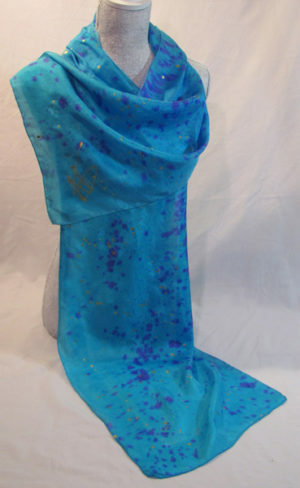 With a multitude of greens and deep blues these scarves have a gold star detail. 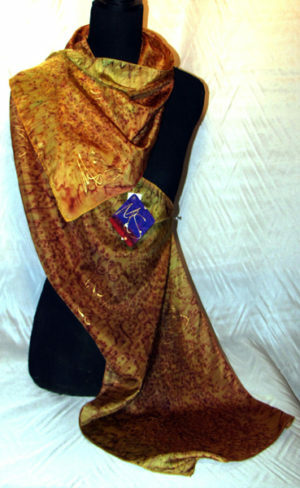 100% Hoboti China Silk. 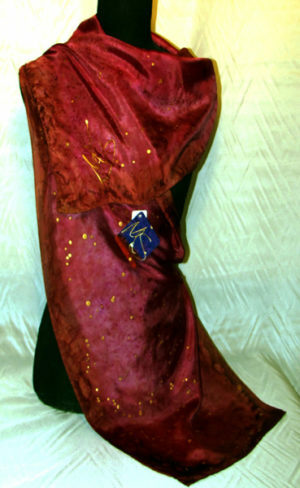 Hand painted, steam fixed and delicate wash to reveal it’s special hand that is reflective of this special type of silk. Blue Spruce is a new for fall ’15 design. These colors are reminiscent of the rich green evergreen trees. 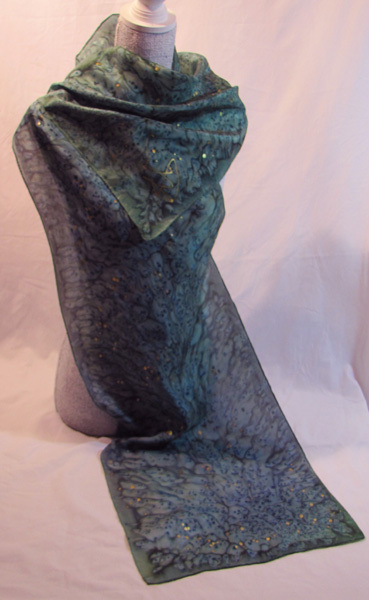 With a multitude of greens and deep blues these scarves have a gold star detail. 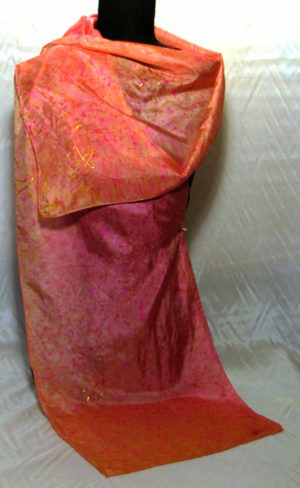 As with all of the Manna Silks Design Scarves I’m in search of strong, pure color designs that reflect the fabulous fun of the process of silk painting. The joy of the creative process comes thru in the fresh designs in these product lines.